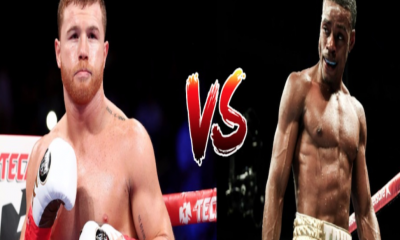 LAS VEGAS – The ShoBox crew doesn’t turn up much in Las Vegas any more, but on Friday the long-running Showtime series set anchor in the intimate concert venue at Sam’s Town where a packed house was entertained by a well-constructed eight-fight card. The first five fights, live-streamed on the Mayweathers Promotions Facebook page, served as the preamble to the “New Generation” triple-header. 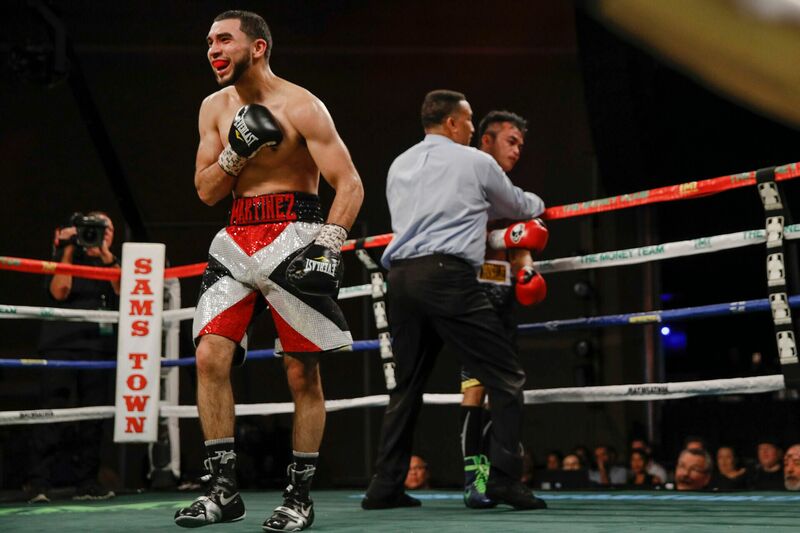 The big winner was Sacramento junior lightweight Xavier Martinez who looked sensational while recording his sixth straight stoppage. Martinez (14-0, 10 KOs) had no trouble taking care of business vs. Filipino southpaw John Vincent Moralde (21-3). Martinez got Moralde’s respect in the opening round and took him out in the third with a short left hook. 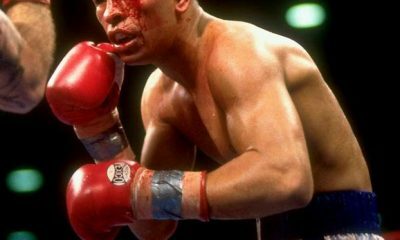 The Filipino was up in a hurry, but his legs were unsteady and referee Tony Weeks stopped the match after only a few more punches. 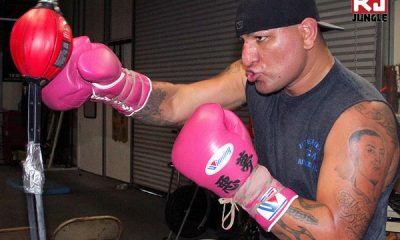 Martinez, who turned pro in Tijuana at age 17, was fighting in his first scheduled 10-rounder. In Moralde, he was meeting a well-seasoned opponent who had more than 300 amateur fights. “As early as the first round I could sense that he was uncomfortable in there,” said Martinez post-fight. The main event between featherweights Angelo Leo (17-0) and Neal Tabanao (17-5) was anti-climactic. Leo had too much class for Tabanao. The Albuquerque native closed with a flourish and won every round on all three scorecards. In the “ShoBox” opener, North Las Vegas welterweight Andres Cortes improved to 11-0 with an 8-round decision over Baltimore’s spindly-legged Jahmal Dyer (9-2). 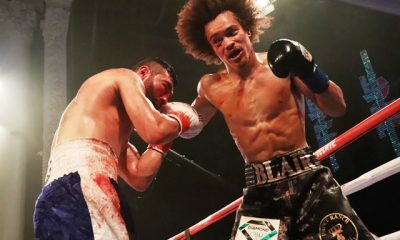 Cortes was clearly getting the best of it through the first three-plus rounds when out of the blue Dyer landed a straight right hand that knocked him on the seat of his pants. But Cortes wasn’t seriously hurt and re-gained control. The scores were 79-73 twice and 78-74. 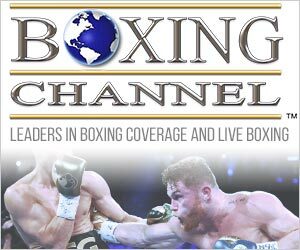 In the featured bout of the livestream portion of the show, Las Vegas welterweight Cameron Krael (16-13-3, 4 KOs) won a hard-fought 10-round unanimous decision over Angel Hernandez (15-13-2, 9 KOs) of McAllen, Texas. The judges had it 99-91, 98-92, and 97-93. 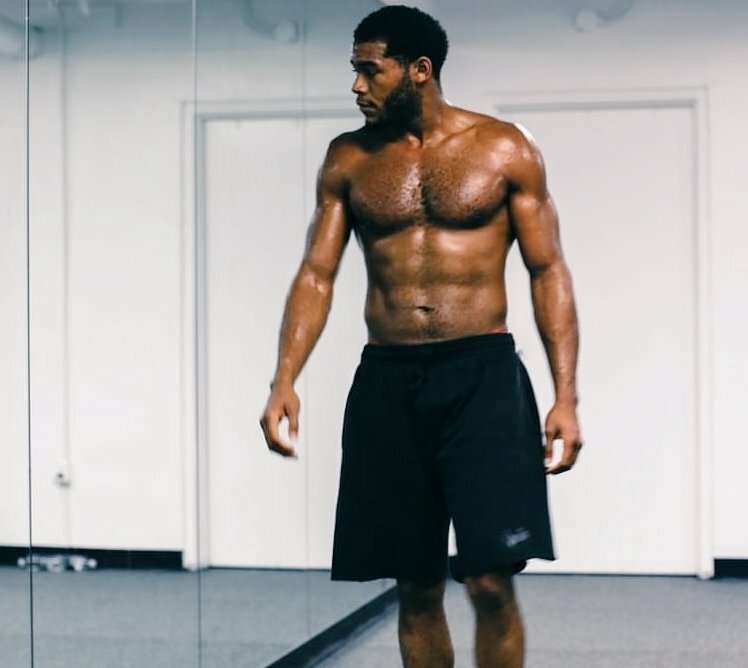 Krael is much better than his record would indicate and the same can probably be said of Hernandez who let it all hang out in the final round in a desperate attempt to pull the fight out of the fire. There were seven house fighters (i.e., Mayweather Money Team fighters) on the 8-bout card. Six were victorious. The odd man out was Sanjarbek Rahkmamov, a fighter from Uzbekistan who was on the wrong end of a split decision in his match with Keith Hunter. 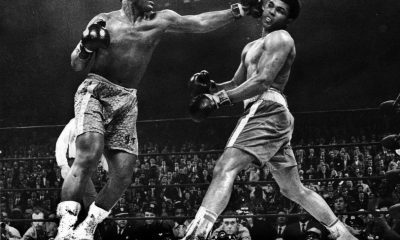 If not for a flash knockdown in round two, the bout would have theoretically ended in a draw. 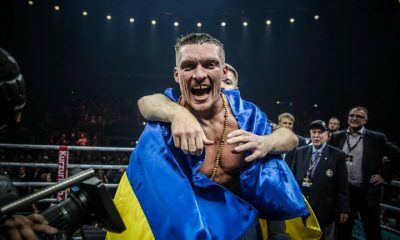 It was a straight right hand that knocked Rahkmanov on the seat of his pants, but he wasn’t hurt and that didn’t deter him from pressing the action. 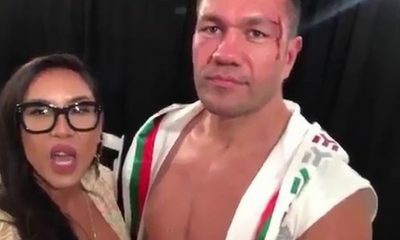 He landed the harder punches throughout. Late in the match, Rakhmanov’s punches became wilder but Hunter’s jab became less of a snapping jab than a pawing jab. Judge Adalaide Byrd favored Hunter 77-74. Her colleagues were split, one favoring Rakhmanov 76-75 and the other giving it to Hunter by the same score. This reporter, who had a good view of the action from a stage situated close to the ring, gave it to the Uzbek 77-74. Rakhmanov didn’t make a scene, but as he left the ring one could see he was boiling mad. 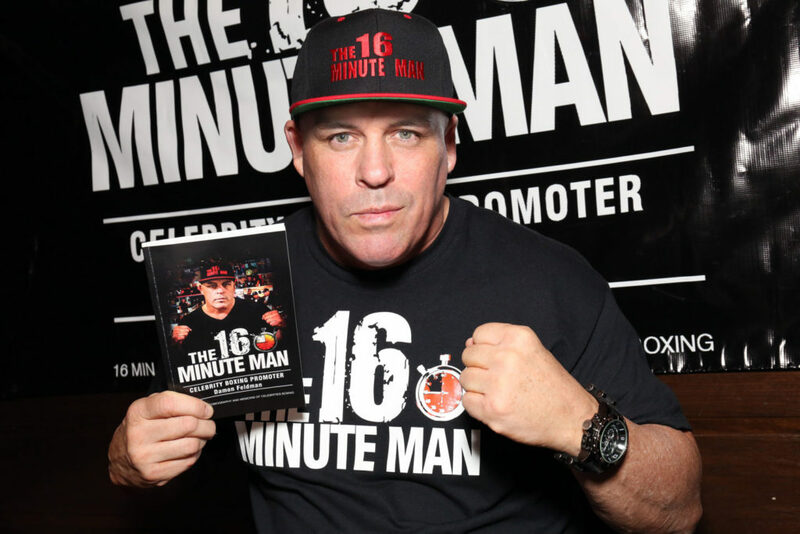 Keith Hunter (10-0, 7 KOs) is the younger brother of heavyweight contender Michael Hunter and the son of the late Mike “The Bounty” Hunter whose awkward style puzzled some of the leading heavyweights of his day. Keith has adopted his father’s nickname. Rakhmanov declined to 11-2-1. 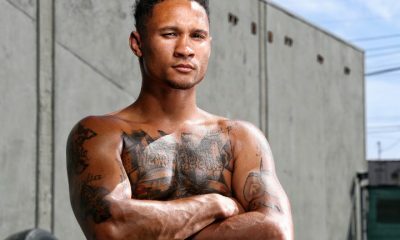 In a fight scheduled for 8 rounds in the super middleweight division, Kevin Newman II (9-1-1, 5 KOs) made short work of Cesar Lopez Ugarte. It was bombs away until Newman landed a short right hand late in the second minute of the opening round. Ugarte went down hard, face first, and referee Jay Nady immediately waived it off. The official time was 1:56. Ugarte entered the contest with a record of 8-3 but had never defeated an opponent with a winning record. Akron, Ohio lightweight KingDamon Antoine improved to 9-0 with a 6-round unanimous decision over Raheem Abdullah (3-2) of Colorado Springs. Antoine, who had stopped seven of his previous eight opponents, had Abdullah hurt in the opening round but wasn’t able to apply the finisher. All three judges had it 60-54. 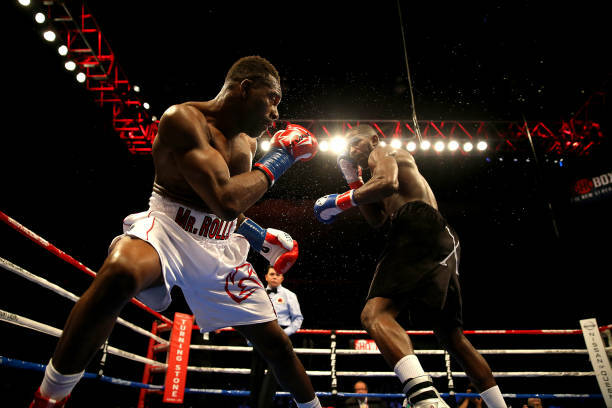 In a 6 round welterweight contest, Maurice Lee improved to 10-1-2 with a unanimous decision over Andre Boyd (7-6-2). Lee won by scores of 59-55 and 58-56 twice. Will Shields vs. Hammer Justify the Hype and Advance the Cause of Women’s Boxing?